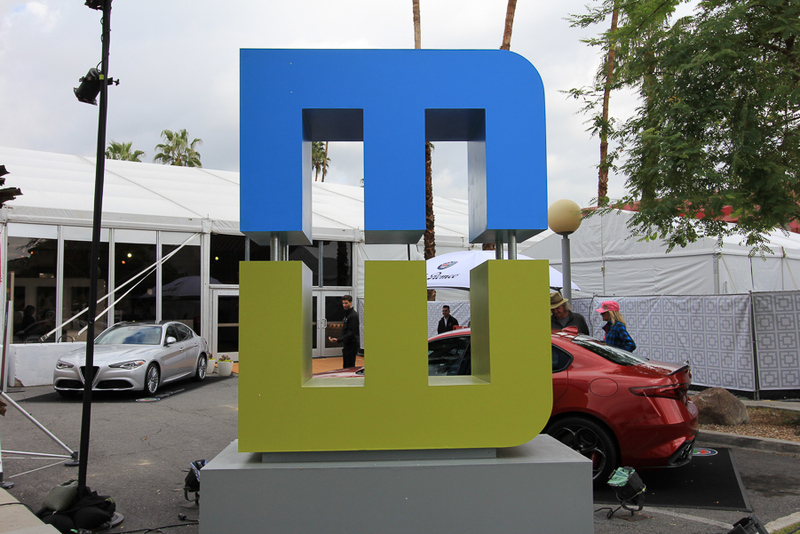 February 19, 2017 - Today we were in Palm Springs for Modernism Week of 2017. 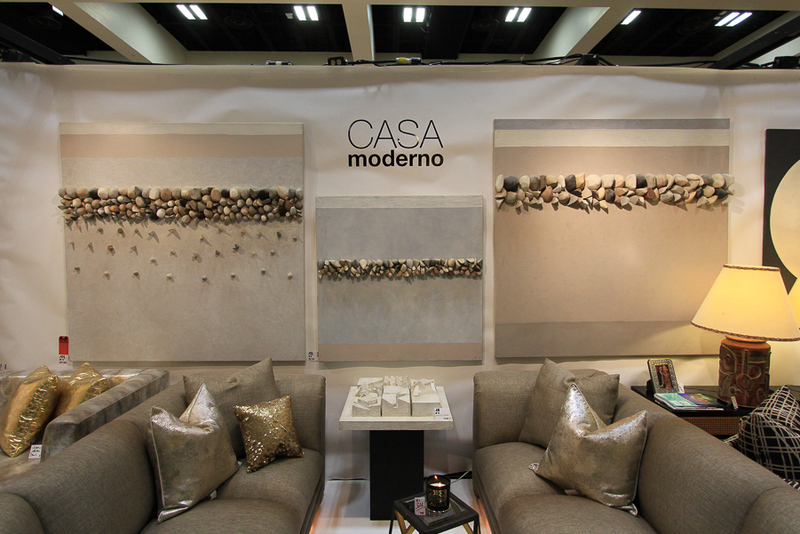 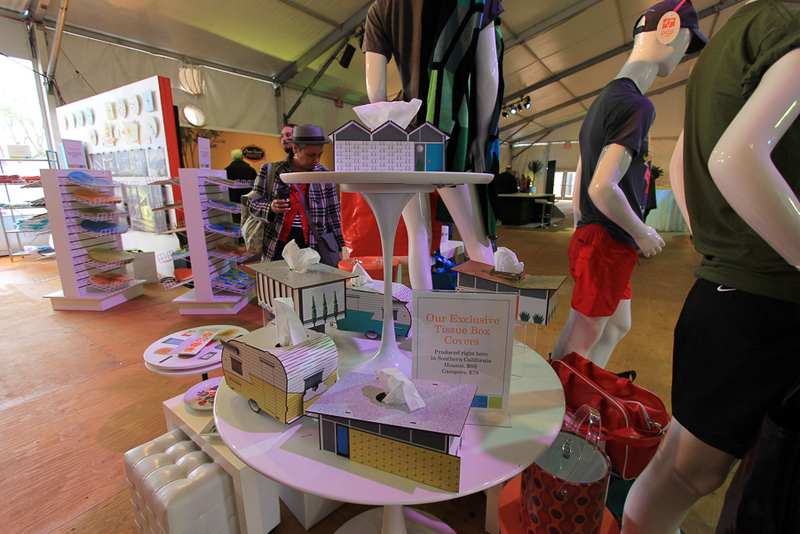 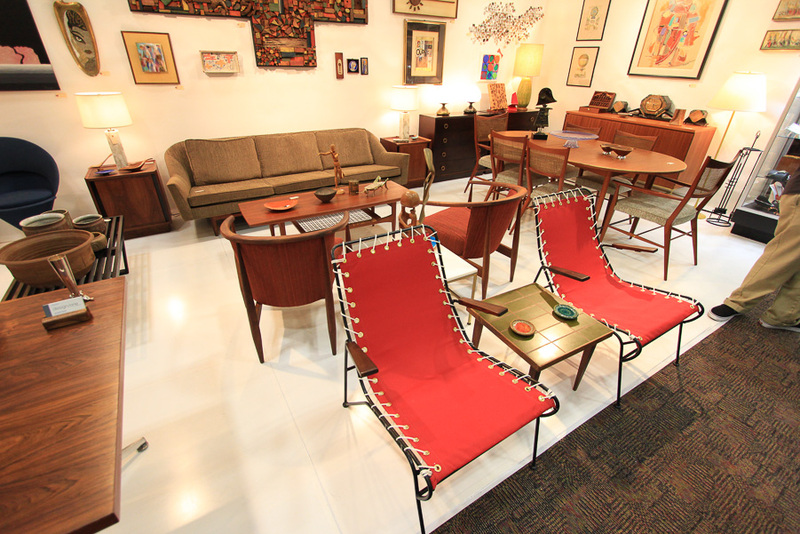 Modernism Week is an annual celebration of mid-century modern design, architecture, art, fashion and culture. 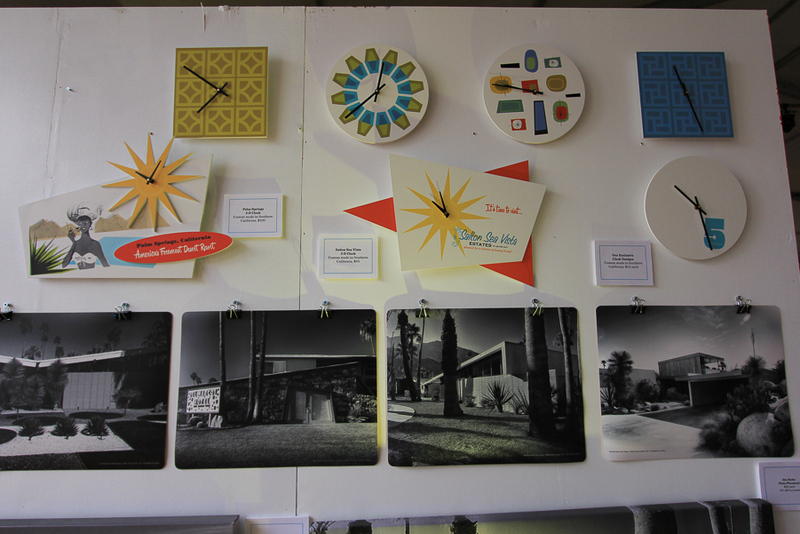 Of course, just driving into Palm Springs is an adventure of its own. 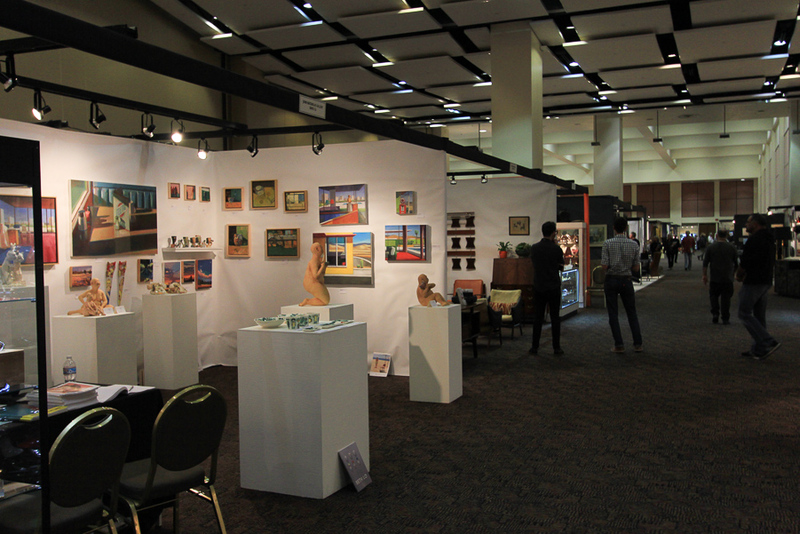 The festival features more than 250 events including the Modernism Show & Sale, Signature Home Tours, films, lectures, Premier Double Decker Architectural Bus Tours, walking and bike tours, tours of Sunnylands, fashion, classic cars, modern garden tours, a vintage travel trailer exhibition, and more. 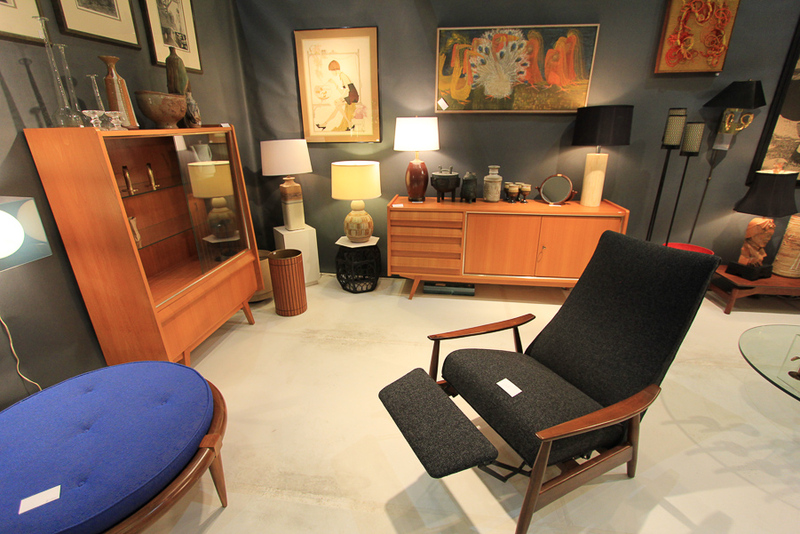 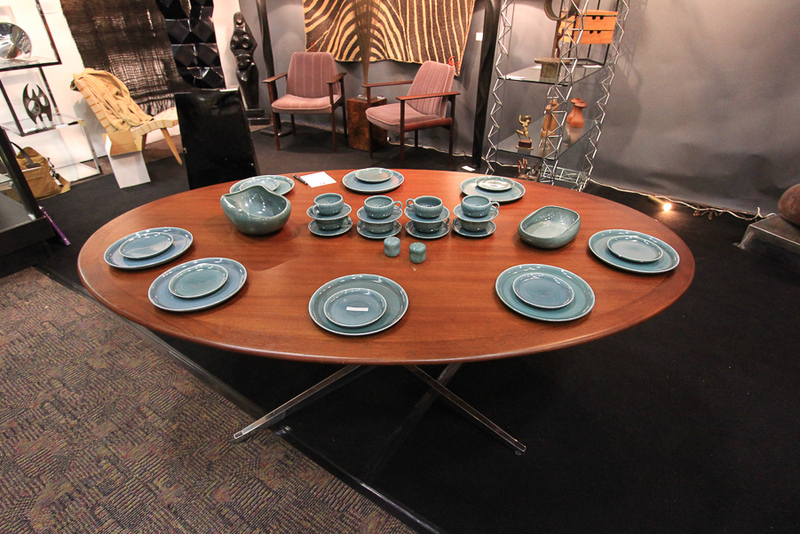 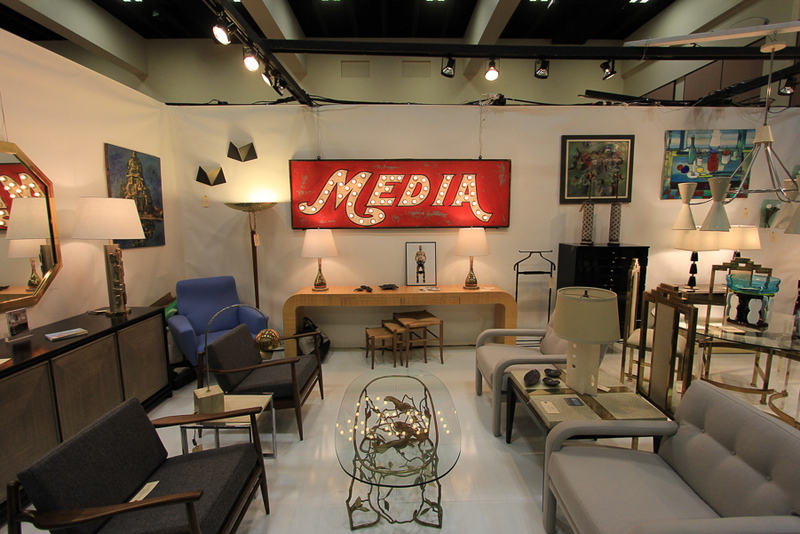 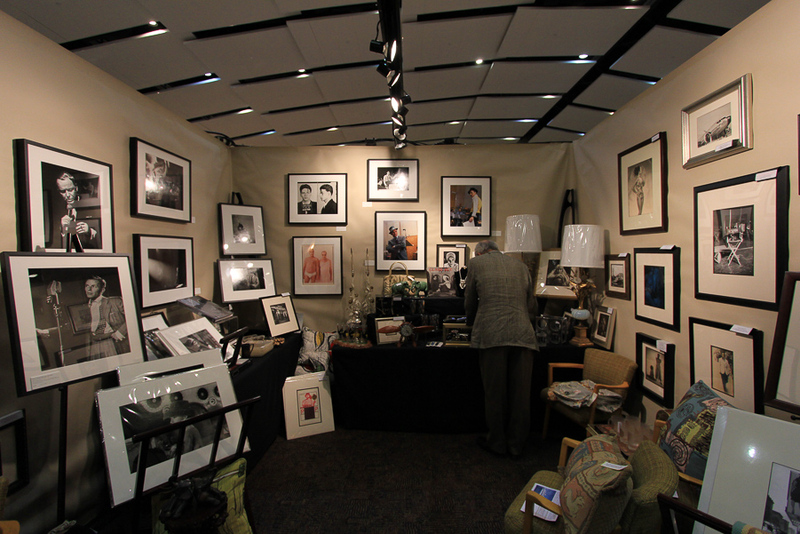 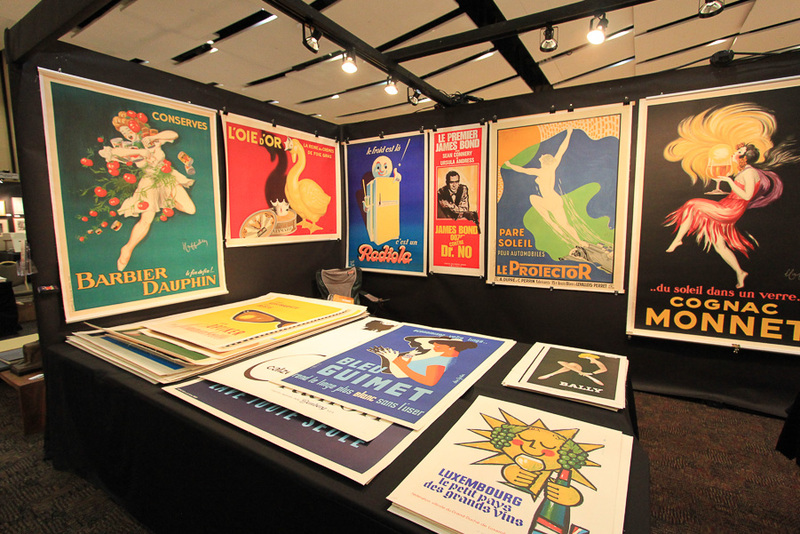 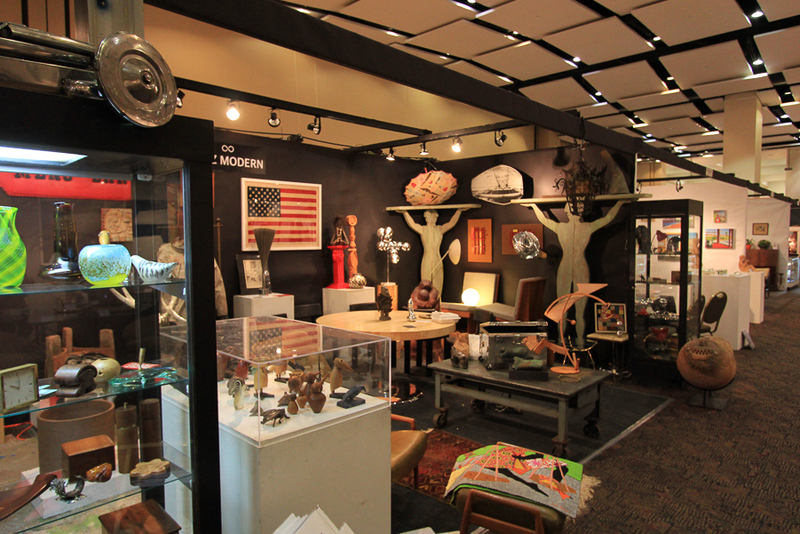 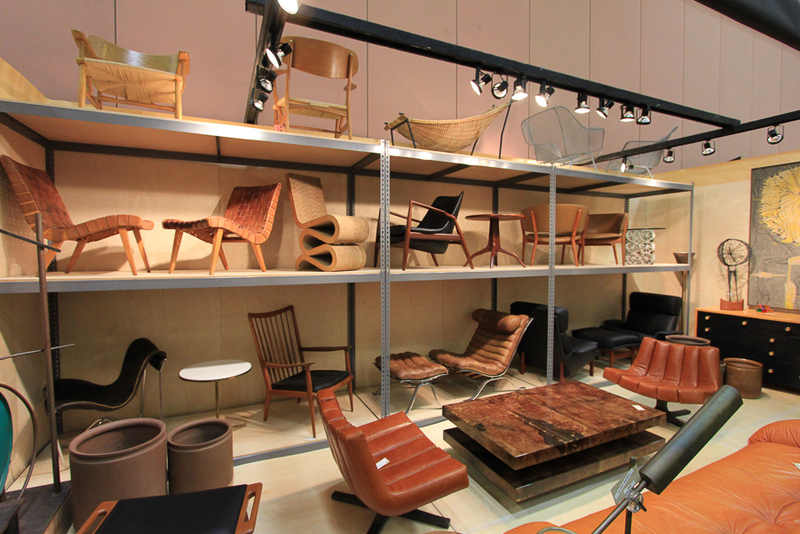 We started out at the Palm Springs Convention Center for the Modernism Show & Sale. 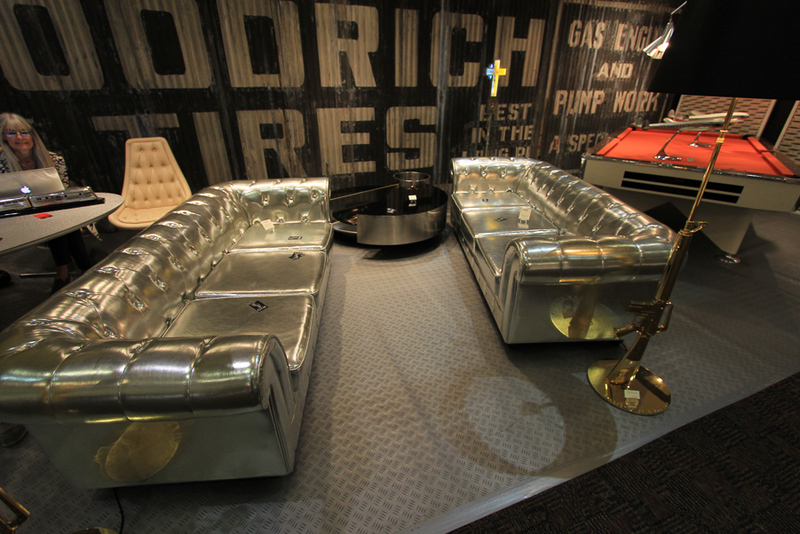 This silver lame sofa set was previously owned by Johnny Depp and the Kardashians. 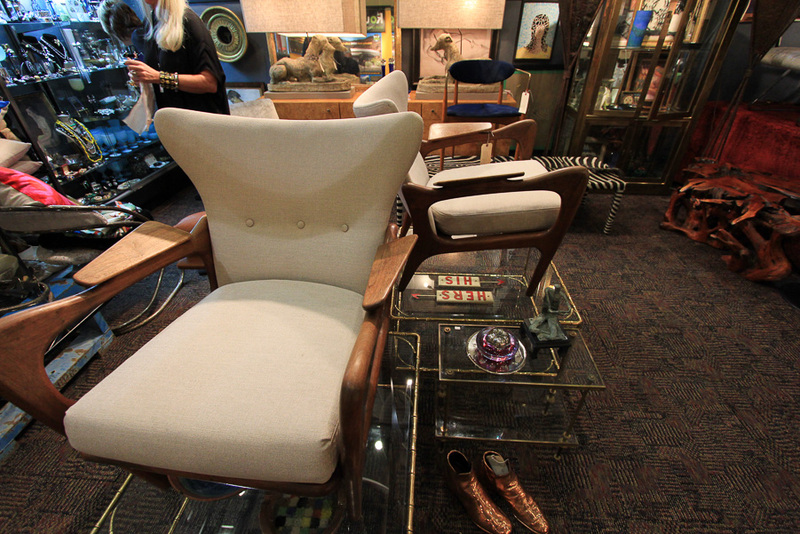 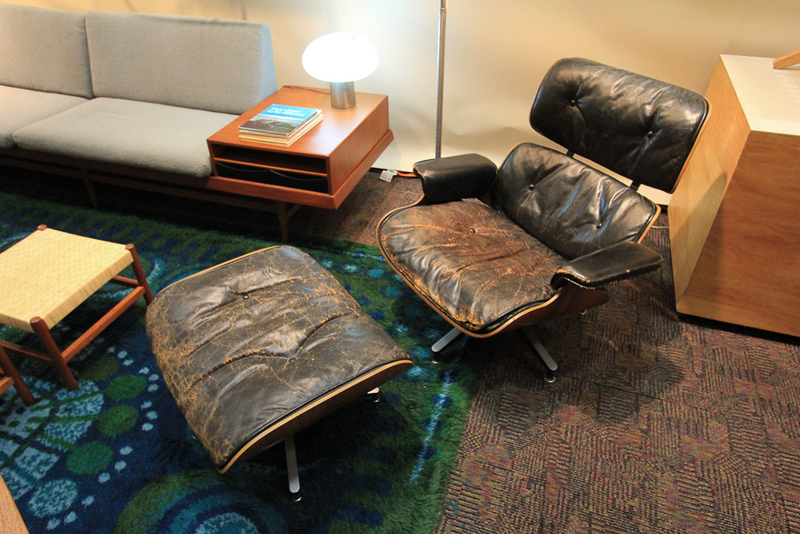 The asking price for this first edition 1956 Eames Chair was $8,000. 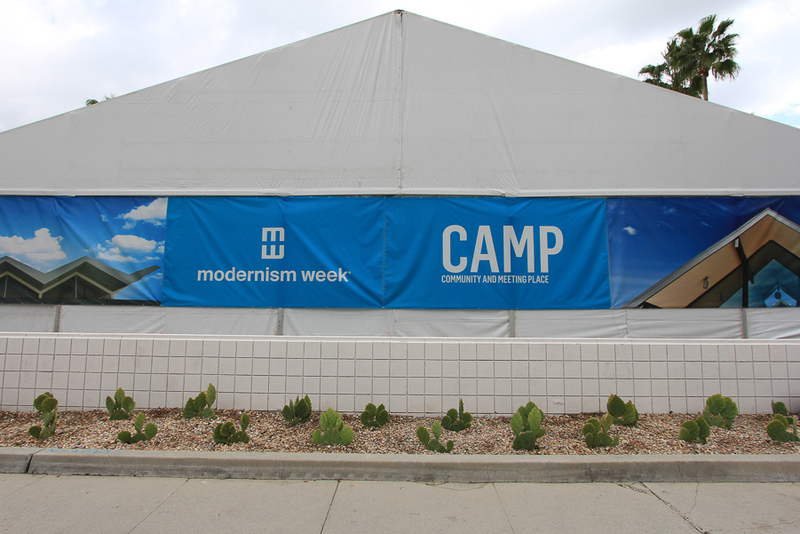 After the convention center show, we went to CAMP, the "Community and Meeting Place," which is where all of the tours originate from. 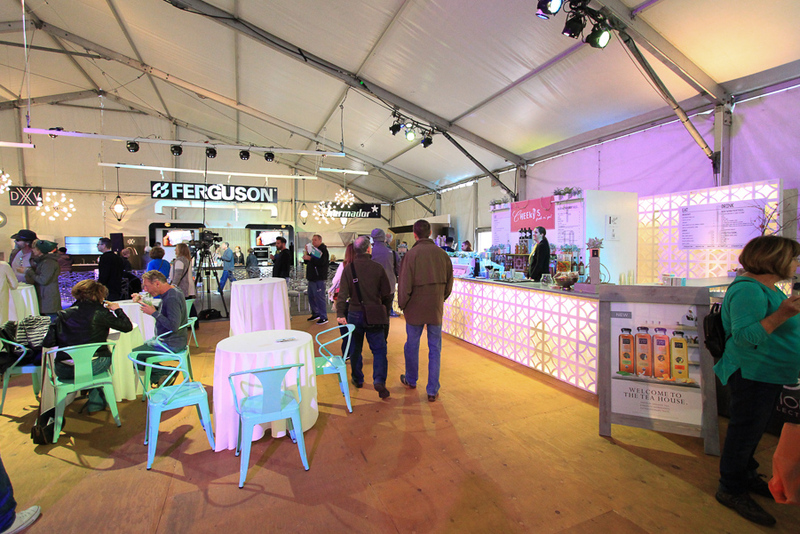 It was very crowded and the bar business was brisk. 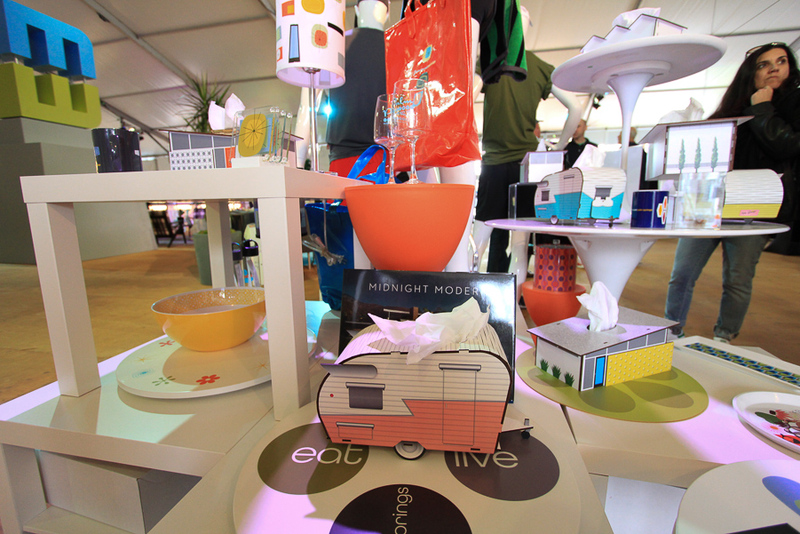 These tissue box covers are wonderful. 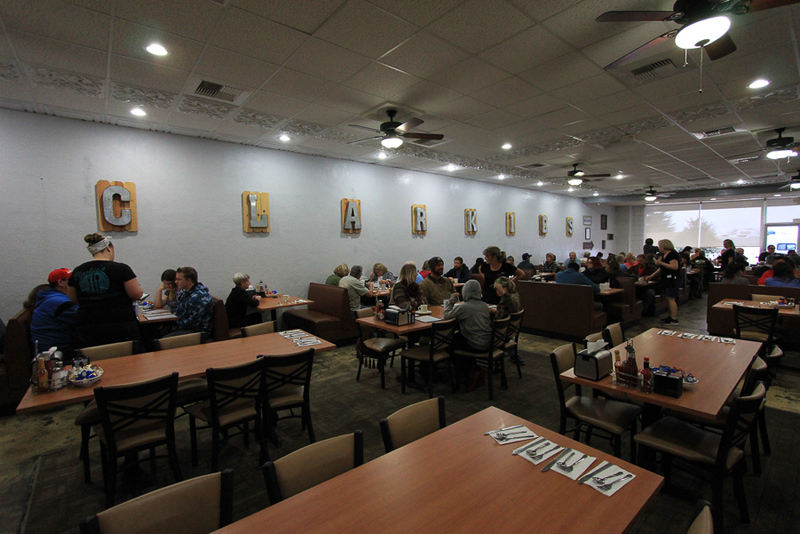 On the way to the show, we stopped for breakfast at Clarkie's Diner in Yucaipa, where the food is always great and it's an easy stop on the way to Palm Springs. 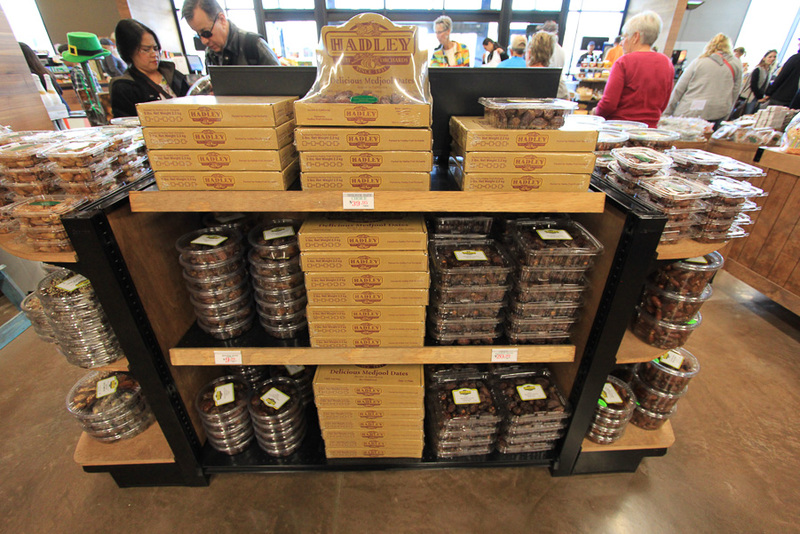 Another easy, off the freeway stop, is Hadley's Fruit Orchards in Cabazon, where I stocked up on some Medjool dates.